I posted about this one a long ways back when I started it. It did not take me 22 months to stitch! But, the finished piece did sit around for some time before I finally got around to framing it. I framed it myself, which was an adventure because I had never framed my own stitching before. But, I think it turned out fine. 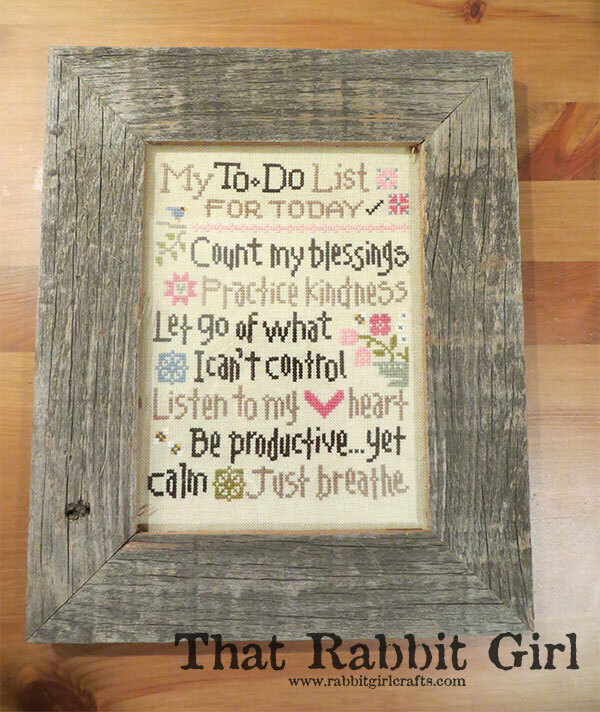 I bought the 8″ x 6″ frame from All Barn Wood. This entry was posted in Cross-Stitch and Needlework, Personal and tagged cross-stitch, crossstitch, samplers. Bookmark the permalink.